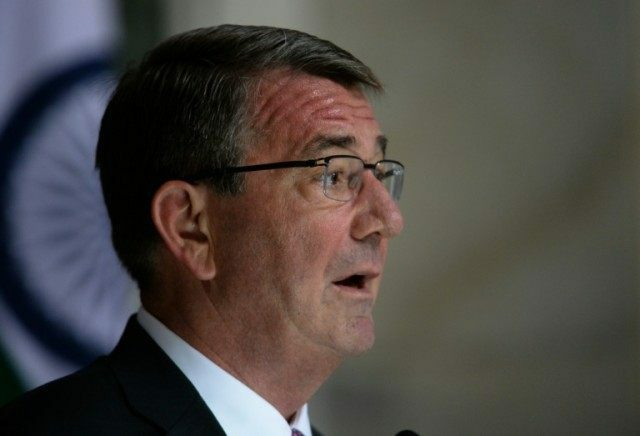 Manila (AFP) – US forces will gain access to more military bases in the Philippines than the five already announced, US Defence Secretary Ashton Carter said Wednesday as he began a visit to the longstanding Asian ally. The agreement that went in force in January aims to strengthen the Philippines’ defensive capabilities amid a tense maritime dispute with China, while helping the Pentagon pivot more of its forces toward Asia. “They will be more, these are just the five initial sites for rotational presence” of US troops, Carter told reporters on his flight to the Philippine capital from India. “The agreement provides for more sites in the future,” he said. Carter is in Manila to attend Friday’s ceremony marking the end of an annual large-scale joint military exercise between the two allies. He is scheduled to call on President Benigno Aquino on Thursday. “This is an evolving thing. We agreed to do these five with an understanding that they could be more and would be more, as we see what else and where else is significant,” he added. The five already approved by Manila include the Antonio Bautista air base on the western Philippine island of Palawan. The base is just 300 kilometres (186 miles) east of Mischief Reef, an outcrop occupied by China in the 1990s despite angry protests by the Philippines.